Two Point Oh! 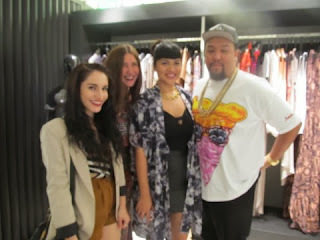 LA hosted its traditional pre-LAFW party at Stylehaüs located in The Grove. Co-founded by Marina Monroe and Lion Shirdan, Stylehaüs is a members only, upscale clothing boutique and style experience in Los Angeles. It combines a physical showroom with a full service styling team. Members have access to the latest one-of-a-kind fashions from all over the world and can purchase clothing a season ahead. Upon arrival guest were handed a glass of champagne and were greeted by the lovely Two Point Oh! Team. Tasty appetizers were provided by The Whisper Lounge. 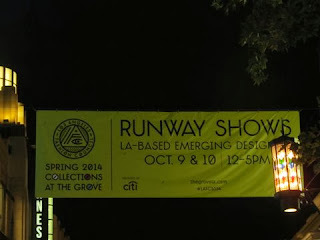 Of course a number of fashionable bloggers and stylists came out to celebrate the beginning of The Los Angeles Fashion Council’s SS14 Runway Shows, which were scheduled to take place at The Grove the next couple of days. They even had the opportunity to view looks from the presenting designer’s collections, which were on the racks in the shop. Among those in attendance was Dawn Nguyen - a current FIDM student who has already showcased at New York and London Fashion Week. 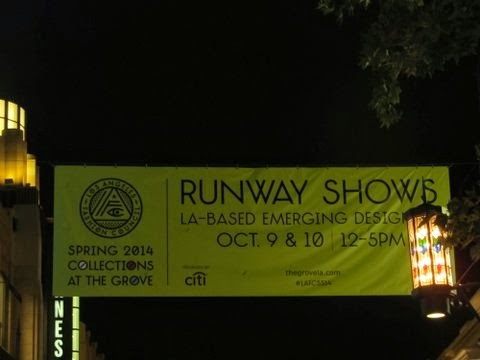 Perhaps we’ll see her FW14 collection at the next LAFC Runway show.